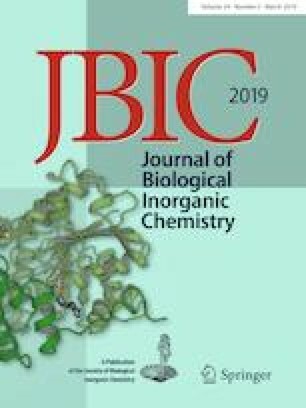 The synthesis and characterization of the dinucleating ligands 1,2-bis(2-(1H-imidazo[4,5-f][1,10]phenanthrolin-2-yl)phenoxy)ethane (L1) and 1,2-bis(2-(1H-imidazo[4,5-f][1, 10]phenanthrolin-2-yl)phenoxy)hexane (L2) and their dinuclear complexes [Pt2(L1)Cl4] (1) and [Pt2(L2)Cl4] (2) and the in vitro cytotoxicity of the complexes against HeLa, HepG2, and MCF-7 cell lines are reported. Ligand L1 crystallizes in the orthorhombic system with the space group Pbca. The complexes 1 and 2 undergo aquation following first-order kinetics. The MTT and trypan blue assays indicate higher cytotoxicity of the complexes towards the HepG2 and MCF-7 cell lines compared to cisplatin. The AO/EB assay and flow cytometry by Annexin V alexa fluor®488/PI double staining assay demonstrate distinct morphological changes of apoptosis in a dose dependent manner. The cell cycle analysis shows a marked decrease in the DNA content in the G0/G1 phase with an increase in the G2/M phase on increasing the concentration of the complexes. 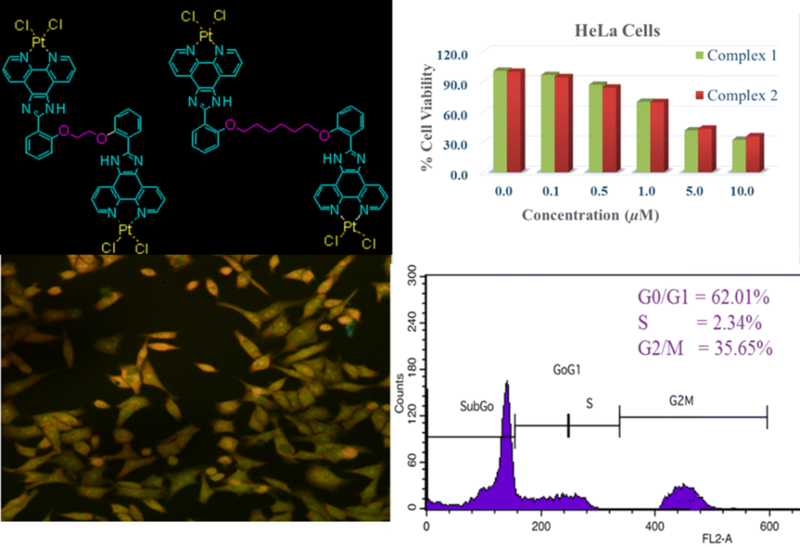 The potential of the complexes as anticancer agents is demonstrated by their antiproliferative activity on the cell lines. The complexes interact with the major groove of DNA through H-bonding between the imidazole N–H protons and the nucleotide residues DC`21/N4 (cytosine) for complex 1 and DT`7/O2 (thymine) and DT`19/O2 (thymine) for complex 2, with the binding energy of − 1.98 and − 4.45 kcal/mol, respectively. The online version of this article ( https://doi.org/10.1007/s00775-019-01656-3) contains supplementary material, which is available to authorized users. Partial financial support to Carlson Alexander from Loyola Research Park is gratefully acknowledged. NAS thanks SERB, New Delhi, for financial support. The service rendered by the Sophisticated Analytical Instrumentation Facilities (SAIF) at IIT-Madras and Punjab and Jawaharlal Nehru Universities for recording ESI-TOF and MALDI-TOF mass spectra and NMR spectra is gratefully acknowledged. We thank Dr. P. K. Sudhadevi Antharjanam, SAIF, IIT-Madras, Chennai, for her help in solving the crystal structure. We thank Dr. J. John Kirubaharan and Dr. S. Rajalakshmi, Department of Veterinary Microbiology, Madras Veterinary College, Chennai, for their invaluable help in carrying out the in vitro studies. ESI-TOF mass spectra, 500 MHz 1H NMR spectra, and 125 MHz 13C NMR spectra of organic precursors and the ligands L1 and L2; crystal structure of L1, ESI–MS/MALDI-TOF MS and 500 MHz 1H NMR spectra of the complexes.